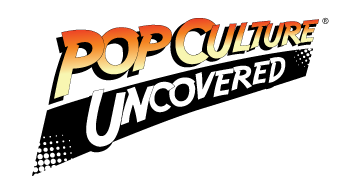 Home » PCU Zeitgeist » Con Talk » DC’s Tabletop Gaming Convention Returns! DC’s Tabletop Gaming Convention Returns! When we here at PCU talk about gaming, by and large it’s video games that get the majority of our love. Many of us have been playing them for decades, and we really don’t see ourselves stopping anytime soon. However, some of us are also fans of tabletop gaming (e.g. Dungeons & Dragons, Pathfinder, etc.). As far as my involvement, I actually play a game known as Pathfinder with several old friends on a pretty regular basis, and we usually fill an entire day with one chapter of our ongoing campaign. There are so many really cool tabletop games out there, and those of us who like to imagine ourselves actually IN the world we’re playing really enjoy the mental challenge of traversing caves, mountains, forests, dungeons, and towns, while also trying to work with our teams to take down gruesome enemies and solve devious traps and puzzles. So, you can imagine our excitement here at PCU, when we realized that Washington D.C.’s only tabletop gaming convention would be returning next month! 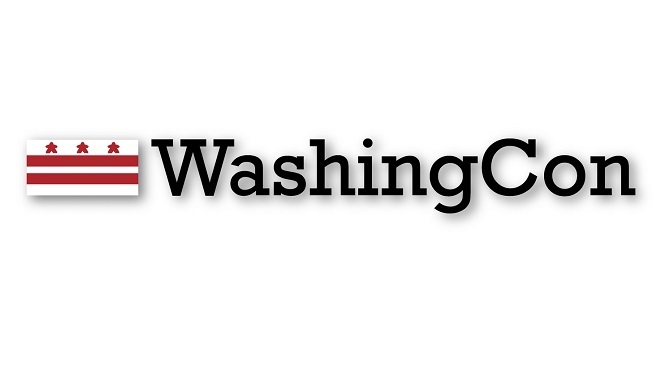 That’s right, WashingCon, now in its third year, is returning to the District of Columbia on September 9th and 10th, at the George Washington University Hotel & Conference Center. The convention’s schedule has already been posted (for both Saturday and Sunday), and it’s building fast. With cool events like a “Pokémon TCG for Parents & Teachers” panel, as well as a “Games in Education” panel on both days, it looks like a good portion of this year’s event will focus on education & using games as teaching tools. Ah, but lest you start to think that the convention will all be dry panels and seminars, don’t despair! There will also be several game tournaments held, and games like Settlers of Catan, Evolution, Carcassonne, and Pitchcar will each have their respective tournament times. So, if you play any of those, and want to test your mettle against others, get your tournament registrations in early! In addition to the game tournaments and the education panels, Washingcon will also feature a ‘Women in Games’ panel, featuring industry professionals (creators and the like), as well as members of the gaming community to “discuss the presence and challenges of women in board gaming”. The discussion hopes to foster ideas about how board gaming can become more inclusive of everyone. Tickets for this panel, however, are going to go fast. It will operate on a reserved seating system, and it’s first-come-first-served. So, get your reservations made soon, dear readers. Parents! Do you ever wonder if something like this will also have enough for your young ones to enjoy? Well, this year’s Washingcon will feature a kids’ costume contest and parade on Saturday, for all kids 12 & under! There will also be games for them to enjoy from companies such as Panda Game Manufacturing and Looney Labs, so your little ones will be able to exercise their minds while having a blast. So get your kids dressed up in some cool board game cosplay (yes, it can be done), bring them out, and let them enjoy the day! Finally (and most exciting for me), Washingcon has set up RPG (role-playing) games for both Saturday and Sunday, which even necessitates specific event calendars just for those games. Greyhawk Reborn, Dragon Age, Sentinel Comics Roleplaying Game, D&D, and others will all have their time in the sun at this year’s convention. Ticket information has also been posted, with Adult Weekend badges going for $40.00, Adult Sunday-Only badges going for $25.00, Kids 12 & Under Weekend badges going for $30.00, and Kids 12 & Under Sunday-only badges going for $15. All kids 2 years old and younger get in free. What do you get with the ticket purchase, you ask? Well, I’m glad you asked, dear readers! Over 20 hours of open gaming, and more! WashingCon 2017 looks like it’s going to be a great time all around for us board gamers. So, remember to get your reservations in early, build your card decks, and gear up for some epic gaming fun this September!